Currently lensing in Atlanta, Georgia, Avengers: Infinity War is arguably one of the most high-profile comic book movies in active development, and the online debate generated by recent set photos is a testimony to the pent-up excitement swirling around Joe and Anthony Russo’s 2018 epic. 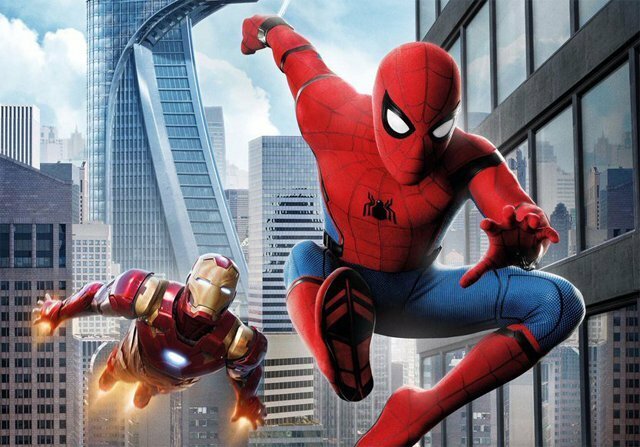 With little under a year left to go until the film’s release, there are still many questions to be answered, but as part of Spider-Man: Homecoming‘s ongoing press tour, Marvel Studios president Kevin Feige weighed in to answer one in particular: the amount of screentime that will be dedicated to Tom Holland’s Web-Head in Avengers: Infinity War. Per Fandango, Feige noted that it’s roughly “on par” with Spidey’s screen time in Civil War, which is to say that comic book fans can look forward to around 10-20 minutes of Peter Parker/Spider-Man in 2018. The big difference this time around is that Spidey and the gang won’t be at war with one another; rather, they’ll unite in the face of a common enemy: Thanos. On the topic of screen time, here’s what Kevin Feige had to say when asked about Spidey’s involvement in Avengers: Infinity War. I think it might feel bigger a little bit because of Homecoming and because of what people know from it, but it’s about on par with [Civil War]. Joined by Amy Pascal of Sony Pictures, Feige was then quizzed about the possibility of another cast member from Spider-Man: Homecoming enlisting for Infinity War – you know, besides Robert Downey Jr.’s Tony Stark/Iron Man. There’s a pretty big crew already in those movies, but you might keep an eye out,” he said. Pascal then added with a smile, “ Yeah, you never know. Beyond the release of Spider-Man: Homecoming on July 7th, directors Joe and Anthony Russo are quietly plotting Avengers: Infinity War, an event movie that has been dubbed the culmination of everything that has come before it in the MCU. It’ll crash into theaters on May 4th, 2018, before the fourth Avengers movie ushers in a new era for Marvel’s Cinematic Universe the following year.